Welcome! 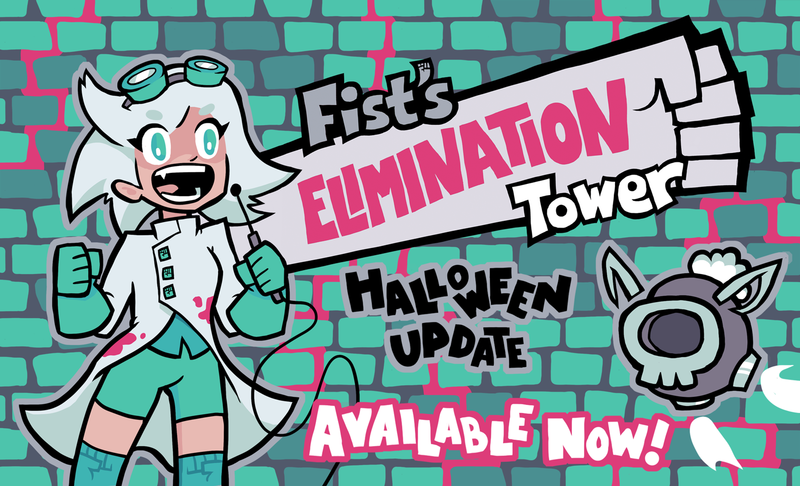 It's that spookiest time of the year, and to celebrate, for the first time since the game's launch, we're adding new costume items to dress your contestants in, and all are immediately unlocked - no spinning required! If you've unlocked the ability to select the set for the tower, you'll find that there's a brand new one, Fistenstein's Castle. This bone-chilling tower has new background music, and frighteningly different enemies (except the ghosts... I kept those the same, because ghosts are already spooky enough). 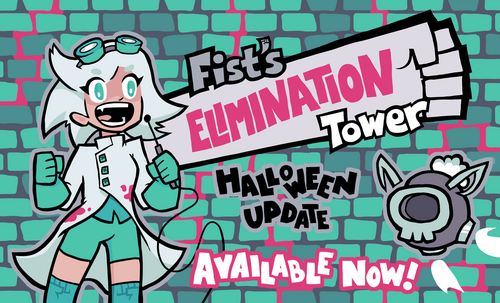 While not particularly scary, this update also includes the Remix Set, which will randomly change the set every 30 floors.